Above: The University of Texas campus in the early 1900s. 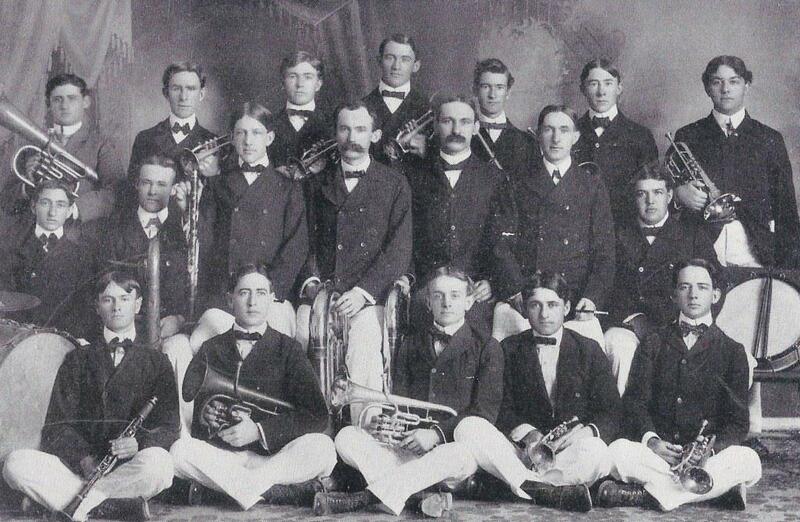 In the spring of 1902, Lewis Johnson was the student manager for just about every musical performance on the campus. Between classes, he played tuba in the Varsity Band, directed the University Chorus, and arranged for concerts on the Forty Acres. Most were in the 1,500 seat auditorium of the old Main Building, but in late March, Johnson wanted to try something new, and introduced a series of “Promenade Concerts.” Starting at 7p.m., the band strolled along the walk that circled the campus and played a variety of overtures, waltzes, and new marches by a popular composer named Sousa. The crowd followed along, listened, clapped, danced, and occasionally sang. A roving party, the concerts were a great success. “This promises to be the most popular entertainment ever provided for ‘Varsity people,” declared the Texan student newspaper. Among the songs UT students sang were well-known college favorites, among them Fair Harvard, and Princeton’s Old Nassau. But the University had no song to call its own, for years a sore topic regularly discussed in the student newspapers. Though not a composer himself, Johnson decided to find a way to create one. He first contacted alumni known to have literary talent, and hoped to recruit a volunteer to write a UT song, but received only polite refusals. Not one to give up easily, Johnson turned to his fellow students, specifically to fellow band member John Lang Sinclair. 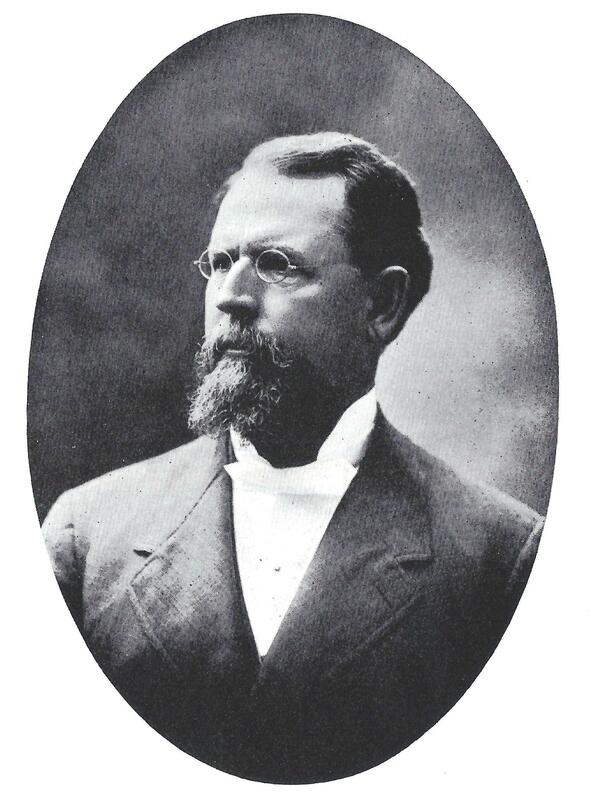 Sinclair was an editor of the Cactus yearbook, a regular contributor to the University of Texas Literary Magazine, and was widely known as the campus poet. Sinclair resisted at first, but Johnson continued to pester. One evening in early May 1902, Johnson and Sinclair were returning from a comic opera performance in downtown Austin, when they stopped at Jacoby’s Beer Garden, just south of the campus on Lavaca Street. Johnson brought up the topic of a UT song once again and, perhaps with the help of Mr. Jacoby’s ales, Sinclair finally acquiesced to Johnson’s requests. 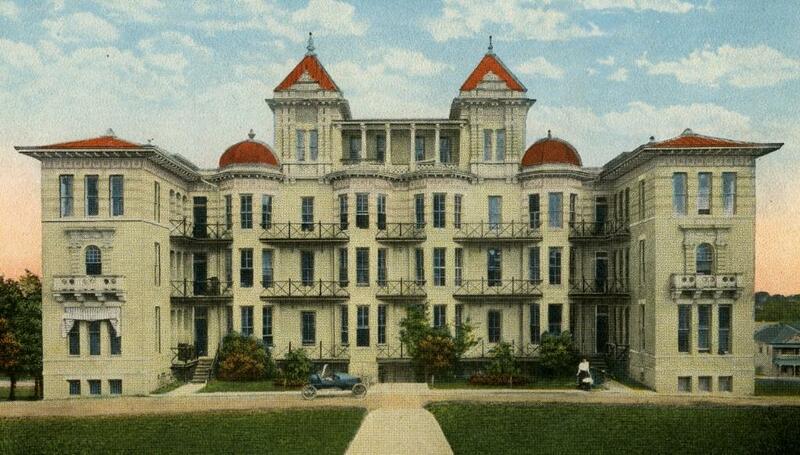 They went to Sinclair’s room on the second floor of old Brackenridge Hall – popularly called “B. Hall,” the University’s first residence hall for men – stayed up all night, and finished the verses for Jolly Students of the ‘Varsity. In the 1900s, the term ” ‘varsity ” was a contraction of the word “university.” In the Lone Star State, students who attended ‘Varsity, were understood to be enrolled in the University of Texas, while those studying at the “College” were in the A&M College of Texas (as Texas A&M was then called). In the chorus, the Avenue referred to Congress Avenue downtown. The Jolly Students was introduced at a concert in late May, and was instantly popular with UT students. But Johnson felt the song still lacked a distinct Texas identity. The following spring he prodded Sinclair to try again. They watch above you all the day, the bright blue eyes of Texas. At midnight they’re with you all the way, the sleepless eyes of Texas. The eyes of Texas are upon you. They’re with you all the way. When from the eastern skies the high light, tells that the night is gone. Sing me a song of Texas, and Texas’ myriad eyes. Countless as the bright stars, that fill the midnight skies. Ivory black and crimson lac, and eyes of every hue. Before Johnson read the last line, he knew Sinclair had produced something for the University that would last long after their time as students had passed. Set to the tune “I’ve Been Working on the Railroad,” Johnson and Sinclair prepared the song so it could be performed by the Varsity Quartet at its next show in May. 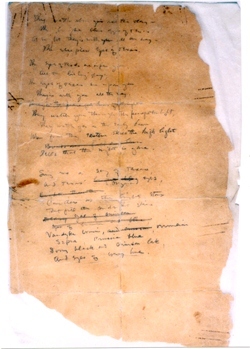 As the work progressed, the two decided to make the song a spoof on UT President William Prather, and Sinclair made some significant revisions to the words. Prather (photo at right) was a UT regent who was surprised by his fellow regents when they chose him to lead the University in 1899. He’d attended Washington College in Virginia (now Washington and Lee University), and often heard its president at the time, Robert E. Lee, tell his students, “Remember, the eyes of the South are upon you,” as he reminded them that they were the leaders of the future. The speech was so well received, Prather decided to get all he could of it and ended most of his talks with the same phrase. The students, of course, picked up on it immediately, and it became an ongoing campus joke to chant, “Remember, the eyes of Texas are upon you!” at sporting events, concerts, and just about every social occasion. Prather took the good-natured kidding as it was intended. He knew that, at the least, the students were listening to him. A variety show was scheduled for Wednesday evening, May 12, 1903, in the Hancock Opera House on West Sixth Street, and was packed with music, dances, skits, and even a tumbling act. Proceeds from the show would pay for the University Track team to attend the All-South Track and Field Competition in Atlanta. Leading off the show was an overture by the Varsity Band, followed by songs titled Oh, The Lovely Girls, Old Kentucky Home and The Castle on the Nile performed by the University Chorus or student soloists. The fourth piece listed on the printed program was cryptically labeled a “Selection” by the Varsity Quartet. I once did know a President, a way down South, in Texas. And, always, everywhere he went, he saw the Eyes of Texas. The Eyes of Texas are upon you, ’til Gabriel blows his horn. Before the first verse was finished, the crowd was in an uproar. By the end of the song, the audience was pounding the floor and demanding so many encores that members of the quartet grew hoarse and had to sing We’re Tired Out. The Varsity Band learned the tune, and the following evening included The Eyes on its Promenade Concert around the campus. Prather, though, had the last laugh. Less than a month after the minstrel show, on June 10th, spring commencement ceremonies were held in the auditorium of Old Main. Prather made his farewell speech to the senior class, and turned the joke back on them. “And now, young ladies and gentlemen, in the words of your own poet, remember that the eyes of Texas are upon you.” The seniors gave Prather a standing ovation, and the University of Texas had a song it could call its own. And the UT track team won the All-South meet in Atlanta, it’s first victory in a regional competition.